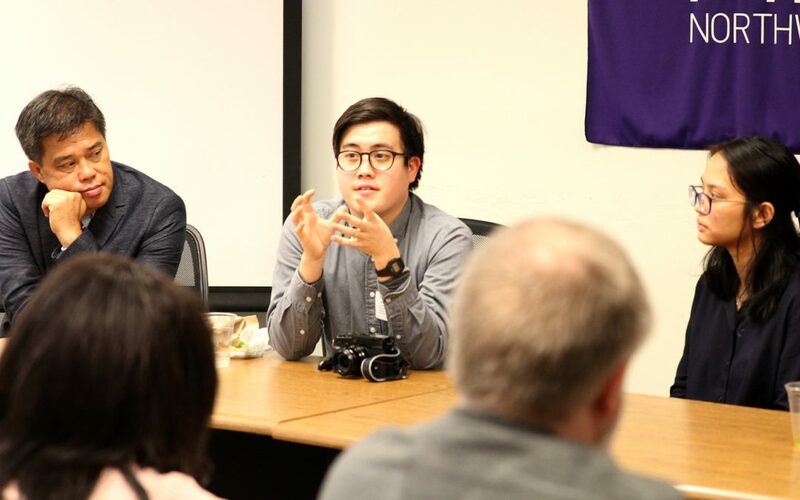 The Pulitzer Center on Crisis Reporting and the Washington Program of the Medill School of Journalism co-hosted a screening Tuesday of “The Psychological Toll of Duterte’s Drug War,” created by a Medill alumna Pat Nabong about the psychological impact of deaths in the Philippines’ drug war. Students at the Washington, D.C. Bureau met with Medill graduates, networking and chatting about their careers during a Medill Mentors Program reception. 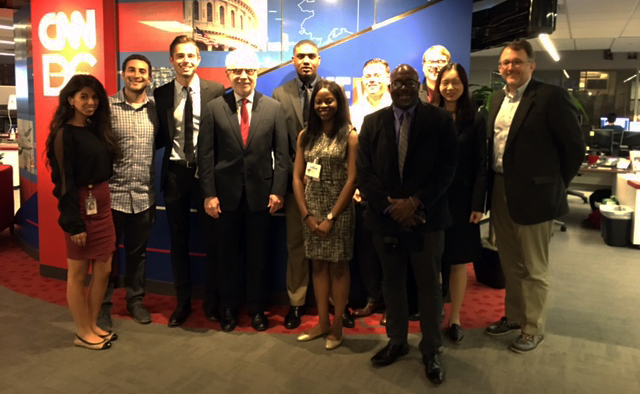 On a tour of CNN, students meet Wolf Blitzer. Military Editors & Reporters Conf. Students will attend the Military Editors and Reporters conference. VICE producers Lydia Randall and Adam Banicki describe the reporting project that led to their mini-documentary on a small Pennsylvania town sufferering from industrial pollution. 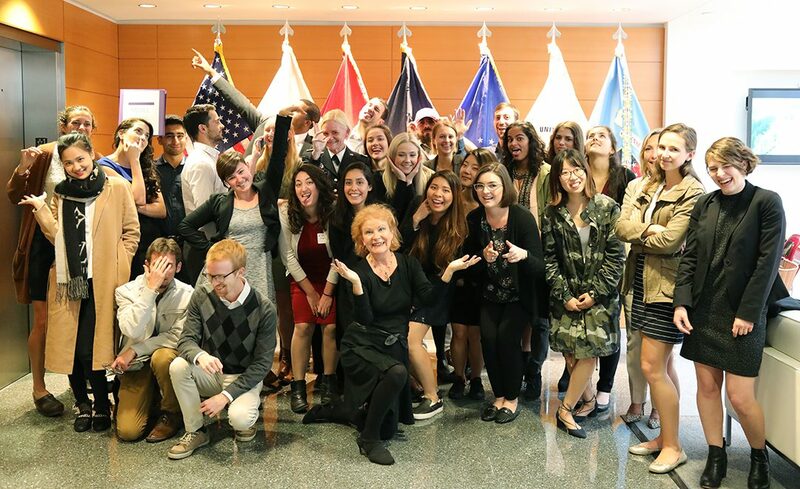 Knowing how to tell stories across several platforms is an essential skill for todays journalists, AP’s Julie Pace told Medill students during a wide-ranging conversation on how news coverage has changed in Washington. 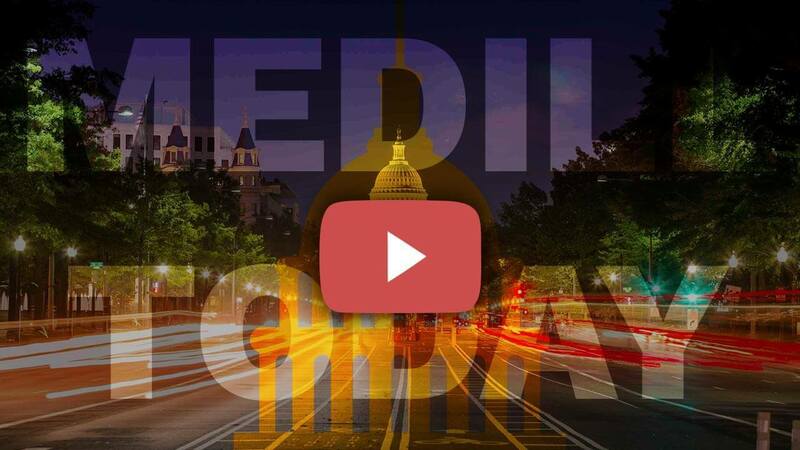 The third annual Medill Health Care Reporting Conference, held Oct. 12-13 at Medill’s Washington newsroom, came as President Donald Trump announced policy changes that could significantly alter the Affordable Care Act. On Saturday, a half dozen Medill students joined a group of more than 40 journalists, media professionals, military members, students and supporters of James Foley and his legacy at the Foley Freedom Run. 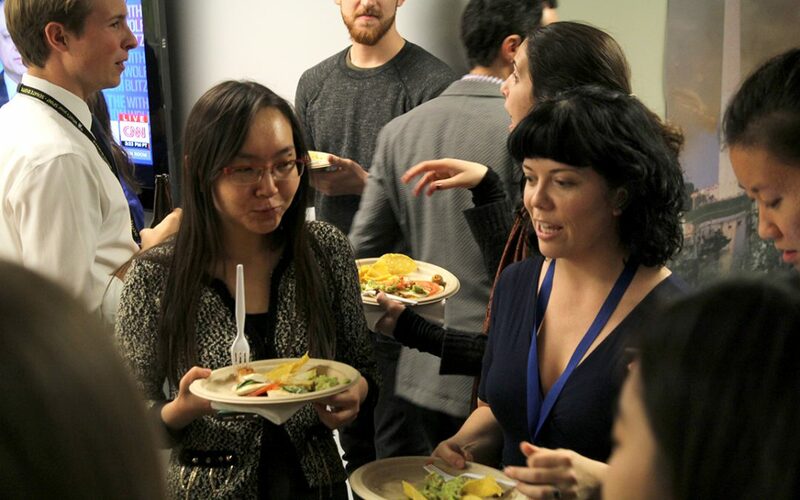 The Medill Mentors and Medill DC Alumni Club combined to host a festive evening at the Washington Bureau. Come join your fellow DC Medill alums for an evening of mentoring, networking and a documentary short screening: January 26 at 6 p.m.
About 30 Medill students attended a conference where experts discussed critical drug shortages in a nation of plenty, new frontiers in medical research, the opioid epidemic and other public health challenges, and strategies for becoming better health care reporters. At an Oct. 6 event, hosted by the Medill Club of Washington and the Medill National Security Journalism Initiative, D.C., Medill alum Peter Cook gave the crowd of students, alumni, industry professionals and at least one U.S. military veteran a chance to get to know the man behind the press podium at the Pentagon. Pardon The Interruption, but we’re Medill graduate students, and we visited Medill alum Mike Wilbon on the set of his ESPN show Tuesday.